Jean-Loup Baer, Professor Emeritus, received the Diplome d'Ingénieur in Electrical Enginering and the Doctorat 3e cycle in Computer Science from the Université de Grenoble (France) and the Ph.D. from UCLA in 1968. Prior to joining the University of Washington in 1969, he was a Research Engineer with the Laboratoire de Calcul, Université de Grenoble, and a member of the Digital Technology Group at UCLA (1966-69). His present interests are in parallel and distributed processing and computer systems architecture. He is author or coauthor of more than 100 papers in these areas and the author of the two textbooks "Computer Systems Architecture'' (Computer Science Press, 1980) and "Microprocessor Architecture: From Simple Pipelines to Chip Multiprocessors" (Cambridge University Press, 2010). 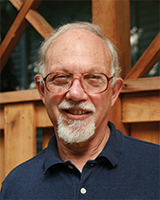 Professor Baer has served as an IEEE Computer Science Distinguished Visitor, and was an ACM National Lecturer. He is a Guggenheim Fellow, an IEEE Life Fellow and an ACM Fellow. He has served on many Editorial boards (IEEE TC, IEEE TPDS, JPDC etc.) and Program Committees (PC Chair for ICPP 97, HPCA 98, co-PC chair for ISCA 83, General co-Chair for ISCA 90 etc.). Twenty-four Ph.D. students have completed their dissertation under Professor Baer's direction. Seventeen of them work in industry or research laboratories and seven are in academia. Although he has been in the U.S.A. for 40 years, Dr. Baer has had no difficulty in retaining his French accent.